Atlanta CityPASS® — Discover Atlanta's five best attractions at one great price and skip most ticket lines. Spend less, experience more. Atlanta CityPASS® tickets include prepaid admission to five of Atlanta’s must-see attractions and saves the traveler up to 40% off the price of the same tickets purchased separately. Extra perk: CityPASS travelers skip most main-entrance ticket lines. Spend less, experience more. all galleries, AT&T Dolphin Celebration, Sea Lions: Under the Boardwalk, and The 4D Funbelievable Theater. Presentations and exhibitions based on first-come, first-served availability. World of Coca-Cola – General Admission with expedited entry during peak attendance periods. 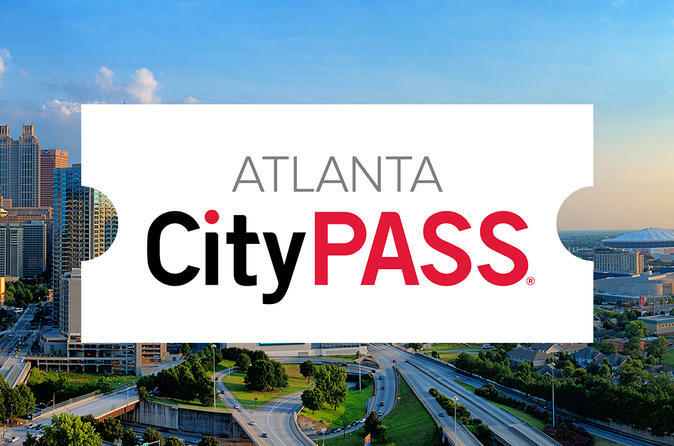 Special Offer - Buy the Atlanta CityPASS to save up to 40% on 5 admissions, compared to booking attractions separately. - Book Now!